When searching for a quality carpet cleaner, keep in mind that not all carpet cleaning services are created equal. There are several key factors that separate a high-quality carpet cleaning process that delivers healthier cleaning for your carpets and home. 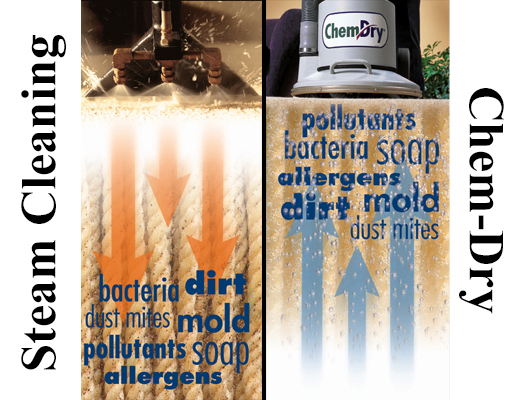 Chem-Dry’s unique hot carbonating extraction system offers a deeper, faster drying, healthier carpet cleaning experience than typical steam cleaning services. Traditional steam cleaning saturates your carpet with an excessive amount of water filled with soaps and detergents. So you’re left with wet carpets for 1-2 days, which creates a breeding ground for mold, mildew, and bacteria. Plus the soapy residue left behind attracts dirt and causes your carpets to get dirty much faster. Chem-Dry’s process is different. Instead of soaking your carpets with water, our process employs millions of microscopic bubbles to explode dirt from deep in your carpet fibers. So, therefore, we only need to use a fraction of the water that typical steam cleaning uses, almost 80% less in fact. After the carbonation releases and lifts the dirt, our high powered equipment extracts the dirt and moisture from the carpet. Living in the southeast of Georgia and Florida means living with humidity. What you might not know is that humidity can do some serious damage to your carpets. But if you know what to look for and how to avoid serious damage, you won’t have to worry about moisture permanently damaging or even ruining your home’s carpets. Mold loves humidity, and it can grow and spread underneath your carpets without being aware of it. Signs of mold include an unpleasant, musty odor, increased allergy symptoms and black, green material. The best way to prevent mold, mildew and permanent damage to your carpets is to get them regularly cleaned to by Massey’s Chem-Dry. 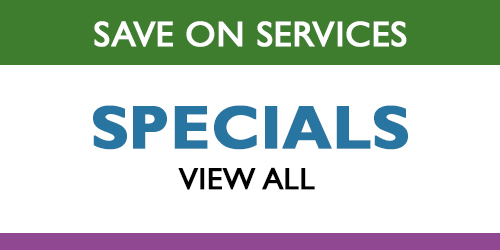 We will keep your carpets mold free and looking beautiful all year round.